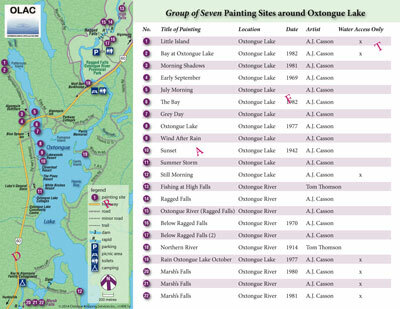 OLAC has been collecting stories and information to pinpoint various locations around the area that were painted. This map is a work in progress as much of the information has been lost over the years. As you stroll or paddle, always remember to please respect private property.